One Indian Girl in a new novel by Chetan Bhagat which is schedule to release on 1 October 2016. Here you can read it online of One Indian Girl for free. Chetan Bhagat is the author of eight blockbuster books. These include six novels—Five Point Someone (2004), One Night @ the Call Center (2005), The 3 Mistakes of My Life (2008), 2 States (2009), Revolution 2020 (2011), Half Girlfriend (2014)—and the non-fiction titles, What Young India Wants (2012) and Making India Awesome (2015). Chetan’s books have remained bestsellers since their release. Several of his novels have been adapted into successful Bollywood films. Some people are good at taking decisions. I am not one of them. Some people fall asleep quickly at night. I am not one of them either. It is three in the morning. I have tossed and turned in bed for two hours. I am to get married in fifteen hours. We have two hundred guests in the hotel, here to attend my grand destination wedding. I brought them here. Everyone is excited. It is the first destination wedding in the Mehta family. I am the bride. I should get my beauty sleep. I can’t. The last thing I care about right now is beauty. The only thing I care about is how to get out of this mess. Because like what often happens to me in life, here I am yet again in a situation where I don’t know what the f**k is going on. “What do you mean not enough rooms?” I said to Arijit Banerjee, the lobby manager of the Goa Marriott. “See, what I am trying to explain is…” Arijit began in his modulated, courteous voice when mom cut him off. “It’s my daughter’s wedding. Are you going to shame us?” she said, her volume loud enough to startle the rest of the reception staff. “What do we tell our guests who have come all the way from America?” Mom said. “If I may suggest, there is another hotel two kilometers away,” Arijit said. “We have to be together. You are going to ruin my daughter’s wedding for some sarkaari function?” my mother said, bosom high, breath heavy – classic warning signs of an upcoming storm. “Mom, go sit with Dad, please. I will sort this out,” I said. Mom glared at me. How could I, the bride, be doing all this in the first place? I should be worried about my facials, not room allocations. My father shifted in his seat. I re-focused on the lobby manager. We had come on the morning flight from Delhi. The Gulatis, or the boy’s side, would take off from Mumbai at three p.m. and land in Goa at four p.m. Twenty hired Innovas would bring them to the hotel by five. I checked the time. 2:30 p.m. He pointed to a makeshift counter at the far corner of the lobby where three female Marriott employees with permanent smiles sat. They welcomed everyone with folded hands. Each guest received a shell necklace, a set of key cards for the room, a map of the Marriott Goa property and a ‘wedding information booklet’. The booklet contained the entire programme for the week, including the time, venue and other details of the ceremonies. “My side will take fifty rooms. The Gulatis need fifty too,” I said. “If you take fifty, ma’am, we will have only thirty left for them,” Arijit said. “Where is Suraj?” I said. ‘We will manage last minute’ is what he told me. Suraj was the owner of Moonshine Events, the event manager we had appointed for the wedding. “At the airport,” Arijit said. I explained the situation to him. “Thirty rooms! Gulatis have a hundred and twenty guests,” my father said. “Exactly.” I threw my hands in the air. Mom and Kamla bua came to the reception as well. “I told Sudarshan also, why all this Goa business? Delhi has so many nice banquet halls and farmhouses. Seems like you have money to throw,” Kamla bua said. I wanted to retort but my mother gave me the Mother Look. They are our guests, I reminded myself. I let out a huge breath. “How many from our side?” my mother said. “Mehta family has a hundred and seventeen guests, ma’am,” Arijit said, counting from his reservation sheets. Arijit signaled to the smiling ladies at the counter. They stopped the smiles and the check-ins and kept the shell necklaces back in the drawer. “How can we reduce the rooms for the boy’s side?” my mother said in a shocked voice. “What else to do?” I said. “How many rooms are they expecting?” she said. My mother looked at Kamla bua and me. “We can manage in thirty,” my mother said. I didn’t want to lose it at my own wedding, definitely not in the first hour of arrival. I turned to my father. “Dad, it is no big deal. His family will understand. We are here for six nights. It will get too tight for us,” I said. Dad, of course, would not listen. These two women, his wife and sister, controlled his remote. For once, these women were on the same page as well. “Beta, these are norms. You don’t understand. We have to keep them comfortable. Girl’s side is expected to adjust,” he said. I argued for five more minutes. It didn’t work. I had to relent. And do what the girl’s side needs to do – adjust. “You and Aditi take a room,” my mother said, referring to my sister. “Let her be with her husband. What will jiju think?” I said. “Anil will adjust with other gents,” Kamla bua said. Over the next twenty minutes the two women sorted out the extended Mehta family comprising of a hundred and seventeen people to thirty rooms. They used a complex algorithm with criteria like the people sharing the room should not hate each other (warring relatives kept in different rooms) or be potentially attracted to each other (mixed gender rooms were avoided, even if it involved people aged eighty plus). Kids were packed five to a room, often with a grandparent. Kamla bua, herself a widow, dramatically offered to sleep on the floor in my parents’ room, causing my father to offer his own bed and sleep on the floor instead. Of course, Arijit kept saying they will put extra beds in the room. But how can you compare sleeping on an extra Marriott bed versus the Punjabi bua’s eternal sacrifice of sleeping on the floor? “I am happy with roti and achaar,” Kamla bua said. “It’s the Marriott. There is enough food, bua,” I said. “Can you please focus on the reallocations? We need to be all checked in before the Gulatis arrive,” I said. In the middle of this chaos, I forgot what I had come here for. I had come to change my life forever. I had come to do something I never believed in my whole life. I had come to do something I never thought I would do. I had come to have an arranged marriage. Here I am, lost in logistics, guest arrangements and bua tantrums. I took a moment to reflect. I will marry in a week. To a guy I hardly know. This guy and I are to share a bed, home and life for the rest of my life. Why isn’t it sinking in? Why am I fighting with Suraj on chat instead? Me: Major screw-up on rooms, Suraj. Not cool. Suraj: Sorry. Really sorry. Political reasons. Tried. Really. Me: You said it will be OK.
Suraj: I did. CM of Goa wanted rooms. Marriott can’t refuse. Me: What else is going to get screwed up? Suraj: Nothing. Indigo from Mumbai just landed. We are ready to receive guests. See you soon. I went to the Mehta-Gulati check-in desk. All my family guests had checked in. Some did grumble about sharing a room with three others but most seemed fine. Mom said the grumblers were the jealous types, the relatives who can’t stand we have reached a level that we can do a destination wedding in Goa. The supportive ones, according to mom, are those who understand what it is like to be the girl’s side. “Do not use this girl’s side and boy’s side with me again. I don’t like it,” I said. Mom and I sat in the lobby, ensuring that the staff readied the special check-in desk for the Gulatis. “Can you stop waving your feminism flag for a week? This is a wedding, not an NGO activist venue,” my mother said. 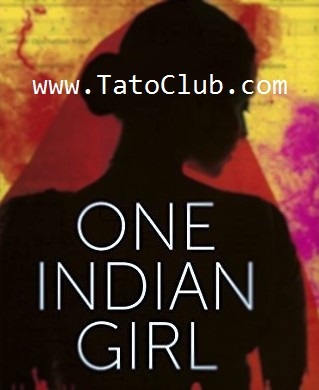 Want a FREE Hard Copy of One Indian Girl ? LIKE this post & COMMENT about why you should win and what motivates you to read this book. We’ll pick a random winner every month till December 2016. Fantastic view about feminism??????? its the firt novel that i have completed in 3 days. Owesome?. Keep writing such books?. Chetan,you rock. Felt very warm and good after reading it….I completed it in 6hrs…so you can see that its very good novel. awesome..so intrsting n got 2 no a lot about thinking ..of grls side….same as i think really guddd.